The Pop Poppa Nap Cast Episode 66 covers Jack’s recent growth spurt, Lu’s early mornings and a few thoughts on the children’s books If You Give A Mouse A Cookie and In The Night Kitchen. 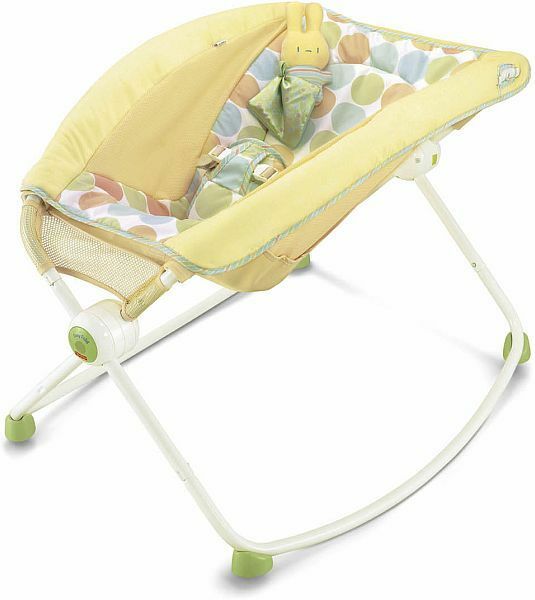 I can’t believe I haven’t written about the Fisher-Price Newborn Rock n’ Play Sleeper before here on the blog! It’s a great bed-side sleeper for infants and is also super portable and can be folded up during the day if you’re tight on space like we are. It gets the Pop Poppa Seal of Approval even though I didn’t say it int the episode! Do your kids like If You Give a Mouse a Cookie by Laura Joffe Numeroff and Felicia Bond and Maurice Sendak’s In the Night Kitchen ? Also, the animated Sendak DVD I mentioned is called Where the Wild Things Are and Other Maurice Sendak Stories . While talking about the cartoon I can’t remember all the way, I called it Nintendo instead of Nickelodeon. Woops! For more of me check out UnitedMonkee.com, MonkeyingAroundTheKitchen.com, Comic Book Resources and @PoppaDietsch on Twitter.